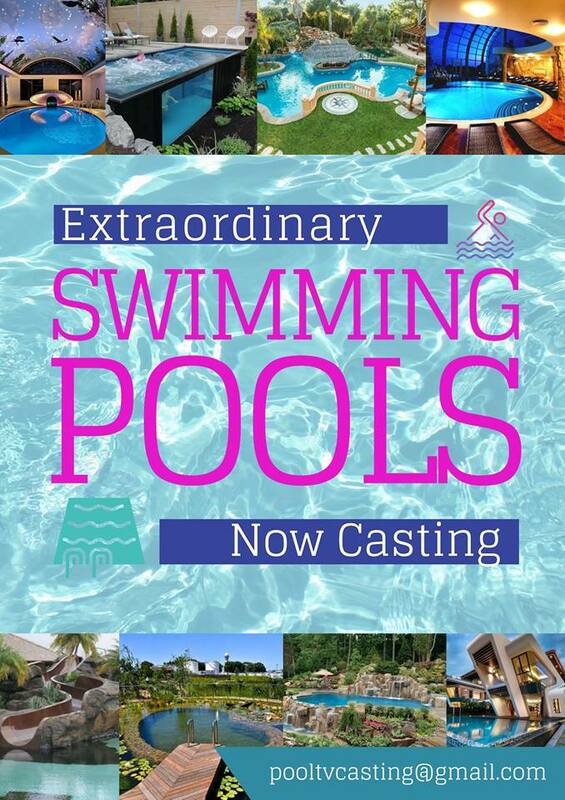 If you do, casting directors for a TV show would love to hear all about this amazing swimming pool to possibly include you and your pool into a new show. That’s right, a TV show is looking to find the best, over the top, swimming pools in the country. While folks in California have amazing pools, this show is actually looking for great pools not just in CA, but also nationwide. Check out all the details below. Acclaimed and award-winning television production company in conjunction with a major television network is now seeking incredible, over-the-top and one-of-a-kind pools for an-all new television project. If you have an awe-inspiring pool with unique features, we want to hear from you! Pool owners will be compensated for their time and be able to take part in a fun TV project that commemorates and celebrates their amazing pools! Do you have the dream party pool? The pool with all the bells and whistles perfect for playing and for hosting unforgettable pool parties? One with multiple slides, built in entertainment, sunbathing beach, a swim-up bar, a built-in grotto and TV screens? Does your pool have one-of-a-kind, custom features? Built in Jacuzzi, pool side-movie theatre, multiple levels, eye-catching water-features, custom art, dramatic lighting or artistic décor? Perhaps you have an alternative pool that has that draws from its natural surroundings? An eco-pool that uses natural water that is seamlessly incorporated into the landscape? Or an indoor and outdoor pool perfectly designed for the property? If you have an awesome pool to share we want to hear from you! To submit, please email: pooltvcasting@gmail.com please include your name and contact information (phone and email) as well as contact information of the pool owner (if you are not the owner) city/state of pool, a brief description of the pool, features, as well as the home and several recent photos of the pool. Note: All pools MUST be residential. Specifically casting in Southern California as well as nationwide.